Government cannot make us equal; it can only recognize, respect, and protect us as equal before the law. It’s quite obvious that Liberals don’t perceive reality in the same way as Americans do. 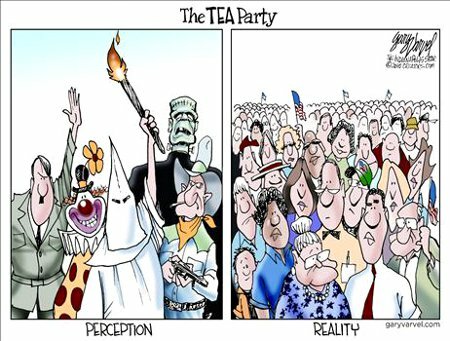 They’re eager belief in their rulers’ race-baiting propaganda about the patriots of the TEA Party is sufficient evidence of that particular psychopathology. Sadly, there’s strong evidence to support the hypothesis that the Liberals’ derangement has an organic component, though it’s unknown as to whether the malformation is genetic, congenital, or pathological in origin. The simple fact is that Muslims get married and a certain number of them, those who don’t to closely follow the example set by Muhammad, even wait until their females have reached puberty before buying them from their fathers and taking them to wife. This perforce means that Muslim couples have wedding nights and that the brides – at least those of an to understand such things – will likely want some sort of special bridal lingerie, much in the same way as brides in the Civilized World do. That in turn causes a problem in places, such as Saudi Arabia, where the Islamists follow very strict forms of Shar’ia that forbid Muslim females from baring their faces in front of even their husbands. One thing that I’ve noticed is that people mono-focus on something and utterly fail to observe anything else in the area. But Stay Aware Of Your Surroundings. Being a sexual object and having evolved to prominently display one’s salient assets carries with it a modicum of difficulty. Throughout most of the animal kingdom it’s the males of the species that suffer through this. Stop Staring At My Rack! Among humans, however, it is the female that makes the more overt sexual displays when seeking a mate and/or sexual partner. From a species survival point of view it’s probably best that human males don’t need to provide such extreme sexual displays. The Irish Elk (Megaloceros giganteus) went extinct at least partially because the bucks’ racks evolved to be unsustainably large and cumbersome. 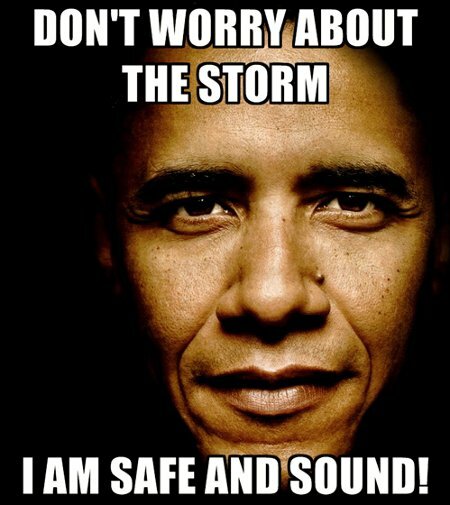 President Obama wants to assure his constituents that he’ll be safe from the storm. He and the First Family are currently en route inland where there are many golf courses and recreational shopping opportunities that they have not samples as of yet. And don’t worry about the damages. The White House has committed to providing aid through FEMA – After Robert Gibbs, Eric Holder and Janet Napolitano make sure that none of the federal aid goes to the wrong sorts of people or voting districts. Furthermore, in order to ensure “justice” and an “equitable” distribution of largess, any needed relief efforts will be coordinated through a special task force led by Al Sharpton, Cynthia McKinney, and Debbie Wasserman Schultz.